The decision to renovate an investment property can improve your rental yield, attract better quality tenants and improve capital growth. When buying an investment property many of us face the reality of having to renovate their house in order to find the right tenants. However, many of us think that in order to renovate a property, we have to spend a lot of money. 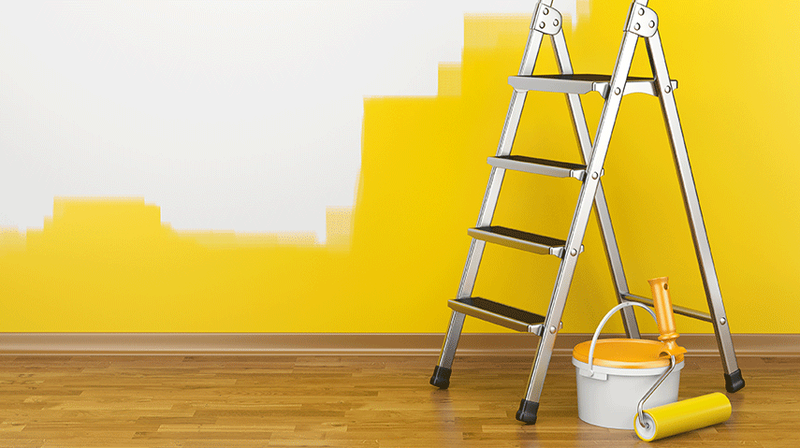 Senior Property Manager Elizabeth Ribarsky shows us the best way of renovating our property, without blowing up our budget. Findings from Roy Morgan Research reveals that as of the start of 2017, 62 per cent of Australia’s landlords have completed some sort of renovation over the year, and 57 per cent within 3 years. The majority of these landlord’s complete small renovations such as repairs or repainting a house, however 17 percent of the people have spent more than $5000 in extending their house, demolishing, resurfacing the kitchen and so much more. When writing up a plan it is vital to write up list of things that you must have and the things that are nice to have but are not necessary. Consider if anything can be recycled, whether that is an old mirror that needs to be repolished, or any scraps of wood that can be re-used in other parts of the house. Consider writing a list of materials that you will need to buy, such as paint, a new stove, bricks, tiles, or whether you need a licensed tradie like a plumber or an electrician. After having a well-constructed plan, consider consulting an architect or a builder to help you look at the final design and the total costs. It is important to consult a professional as they can help ensure that you are avoiding any major issues that could be detrimental to your property. With the internet becoming more and more accessible for us in the 21st century, there seems to be a lot of online building and renovating videos and information that will give us a rough idea of how to save on costs, but also to give us a rough estimation of the total cost of the project. Building surveyors, architects, consumer affairs and fair-trading departments are professionals that are able to offer helpful advice on the safety and the costs of renovating in Australia. Once you have gathered all the costs involved, ensure that you have stayed within your budget. If it is beyond your budget, then reconsider the plan and look at where you could possibly cut costs, whether that is doing the job by yourself or by shopping for recyclable goods that will do the exact same job. The trade people you decide to hire. How large the project actually is. Before you start work, make sure that you complete your research accurately, and the total costs involved. Looking through educational magazines on renovating, journal articles or talking to your family and friends is always a good idea at looking at hidden costs and issues before starting the project. Always remember that whatever you see on TV does not always mean you do the same thing to your property. We often see many renovating shows, on how they grab a sledgehammer to knock down a wall, however they do not always tell us what the requirements are before doing this. For example, we need to be aware of all consequences of knocking down a wall. Do we need a support structure if we knock down the wall? Will our house be in danger if the wall is removed? Do we need a professional to do it? And how much will it cost us? Once plans have been finalised, ensure that you shop around for different quotes for materials and a builder if need be. Even though you might have liked the first tradie or builder, it is still important to look around and to get at least three quotes for a job, to ensure that you get the greatest deal. When looking around for different tradies and builders, do not be afraid to ask questions that you are unsure of. Remember to always ask questions about allowance, which can be described as the total cost a particular project, which includes the supply of materials and labour costs.